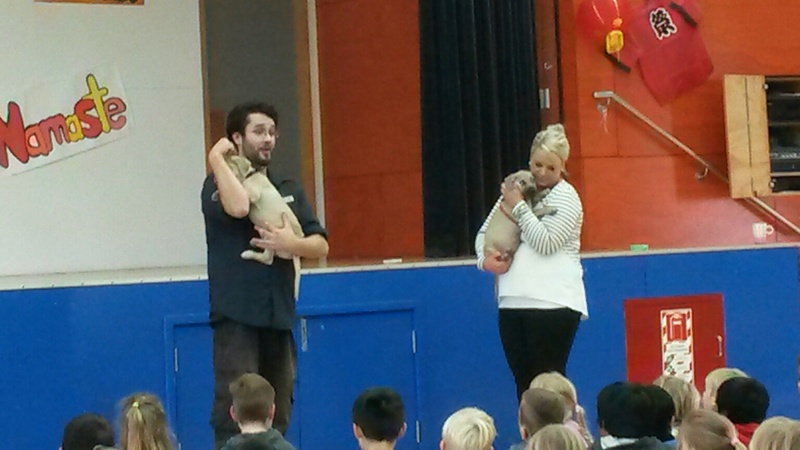 Today Matt, an educator with SPCA, came to talk to the juniors. He brought two colleagues with him and two absolutely gorgeous puppies. The SPCA (The Society for Prevention of Cruelty to Animals) is a largely volunteer organisation with a mission to promote the humane treatment of animals and to prevent cruelty to animals. The SPCA provides many different services including providing food, shelter, veterinary care, love and the chance to find a new home for unwanted, abused and neglected animals in the Wellington region (more than 6000 animals last year). They also provide education services for the community. The Wellington SPCA opened 132 yrs ago. The first ever SPCA was opened to look after horses. Matt explained the SPCA's purpose to ensure that animals had the 'Five Freedoms': food & water; shelter; vet care; love; exercise. 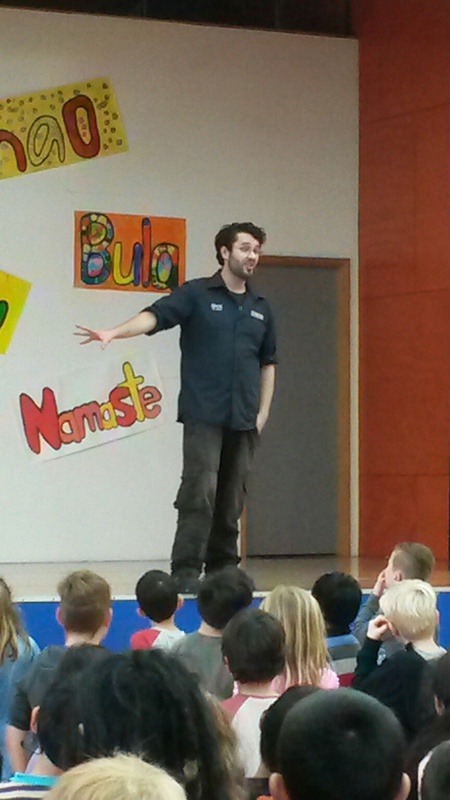 He told us about the importance of desexing your pets! Did you know that if you put a girl and boy kitten on an island by themselves, they could breed over and over and you could end up with over 18,000,000 cats within 10 years! (that is not a typo). Matt surprised us all by telling us about dangerous dog breeds. The most dangerous are the Chihuahua, Jack Russell Terrier and Sausage Dog (Dachshund). Big dogs that attack most often are Golden Labradors and Golden Retrievers! We were shocked. 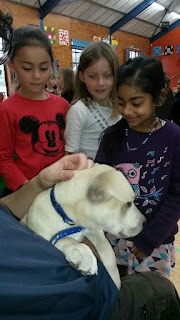 He explained by telling us that it is important to teach and show dogs love, and they will sho us love back. If you see a dog and want to meet it, you should only ever do so when it's owner (an adult) is there too. First, ask if you can touch the dog. Second, put your fist out in front of you (fingers curled in so the dog doesn't bite them), and let the dog sniff you. If it is comfortable with you doing that, then gently pat the dog's back or gently stroke his face. What animals do they help? How do you help animals – what do you do? Do we ring the SPCA or do they drive around looking for animals to help? If you know that an animal needs help, you can call the SPCA and they will come out. 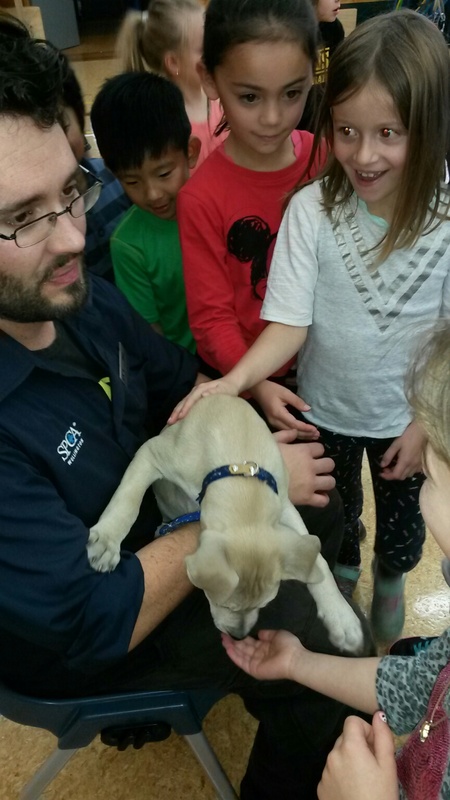 How do you get to work for the SPCA? What ‘stuff’ do you use to help the animals? What do you do when an animal is scared and needs help? The SPCA workers can give them medicine to make them sleepy while they are being helped, or they might entice an animal with food. Do you help animals deliver their babies? How many SPCA’s in NZ? There are lots of small ones but there will be one big one in Wellington soon (there is 4 at the moment).